It is not often that one might find themselves crying in the movie theater, but it is acceptable when one has found good reason. La La Land is the most beautiful and mesmerizing film to come out of Hollywood this year. By the end, it will also shatter your heart into a billion tiny pieces. 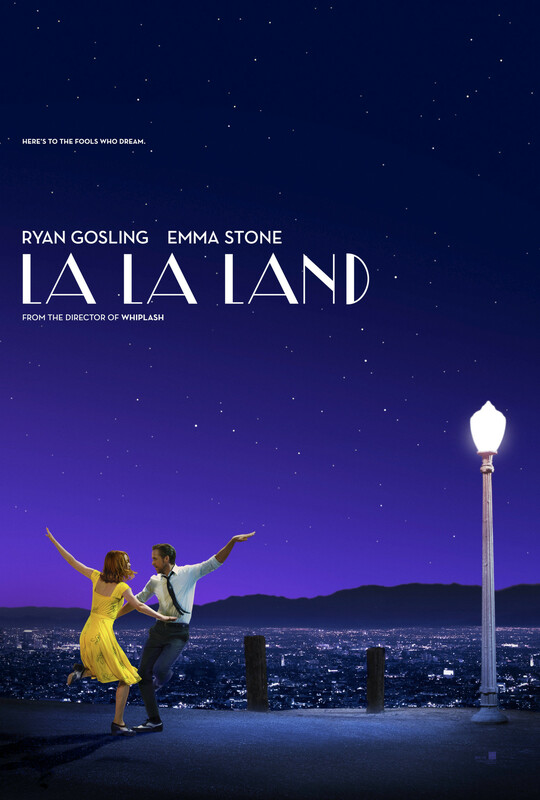 Harkening back to the days of the Technicolor musical that made MGM the box office king, La La Land redefines the genre with an original story. Following his prior work Whiplash, Director Damien Chazelle has hit two for two with this blockbuster hit and proven himself one of the great creatives of this decade. La La Land opens with a bang. Stuck in the gridlock of the Los Angeles freeways, hopefuls and dreamers start bursting out of their cars. They dance throughout the maze of vehicles, singing of their quest to reach stardom and fame in the city of angels. Soon the entire highway is engaged in the spontaneous musical number and the audience can’t help but grin. The number doesn’t succeed in spite of the camp, it succeeds because of it. Yet just as quickly as it begins, everyone gets back in their cars and regular life resumes. California is in the season of winter; it does not show. Mia Dolan (Emma Stone) has been in Los Angeles for the last six years. She has been dreaming of acting for a far longer time. Yet, in La La Land, she finds herself auditioning for the same bit parts repeatedly. She disappears into a sea of other women with the same goals and the same dreams. Mia Dolan has been in Los Angeles for the last six years, and the closest she has come to Hollywood is that she works as a barista on the Warner Brothers lot. 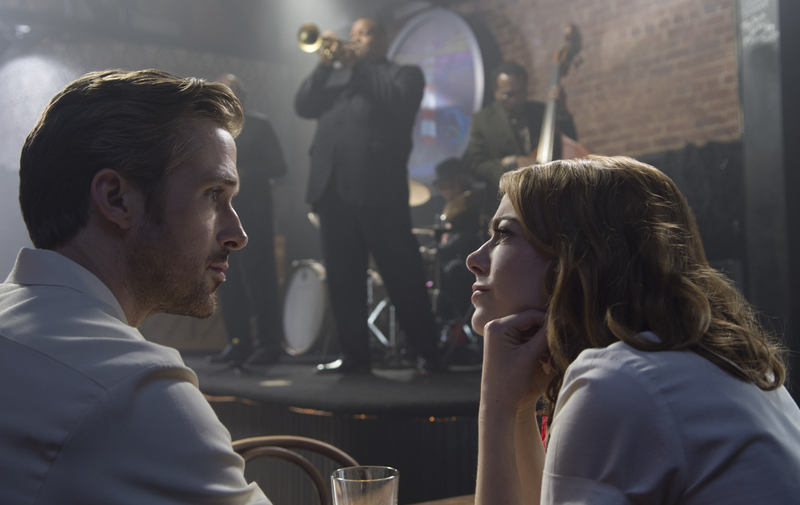 Sebastian Wilder (Ryan Gosling) is a pianist with a love affair for classic jazz. He dreams of opening his own club in the vein of Bud Powell and Thelonious Monk, where he is unrestricted in the music he is able to play. Until then, he lives in a bare-bones apartment, dodging bills and playing mind-numbing holiday sets in a restaurant. Neither of these characters are happy where they are. They define themselves by their success in their fields, and therein lies their core; they wish to be artists of high stature. Where La La Land differs from other features is how their relationship bears upon their success as artists. The drive to push themselves beyond the limits of the world that tells them no is comparable to insanity. They wrestle with compromising either their dreams or their relationships in order to find their happiness. It is an undeniable fact that these individuals have force of will; they will bend and break everything around them if it gets them to where they want to be. The conflict in this film is that they do not know compromise. It is very simple: they wish to be great. Just like Andrew in Whiplash, they are willing to push beyond what is healthy or sane in order to become ‘great’. The recurring theme that Damien Chazelle hits upon in his works is how toxic this pursuance is. If one is willing to break everything in their path to succeed, what happens when the thing in their path is the person they love? It would be easy if the unstoppable force met the immovable object. It would be easy if they were forced to a standstill and either was willing to compromise, but Chazelle puts it clearly that it will never be easy. What works so well for the songs is how little editing they’ve been put through in the mixing booth. The audience cannot find the traditional hallmarks of studio sound editing. None of the actors have been dubbed over, but rather their natural voices have been embraced. Live recordings of the two leads on the set represent some of the best pieces of the film. Sebastian and Mia feel real because they aren’t perfect singers, but are just people who happen to exist within a musical. Emma Stone as Mia Dolan is one of the most compelling performances this year. La La Land is an emotional tribute to the fools who dream. It is a work of absolute beauty that leaves the audience speechless as the players dance amongst the stars. If the audience cannot sing the film’s praises, it is because the ending has forced them to tears and they are without words. La La Land is a film that is beyond compare in this season; Damien Chazelle bats two for two.